Start and end in Venice! 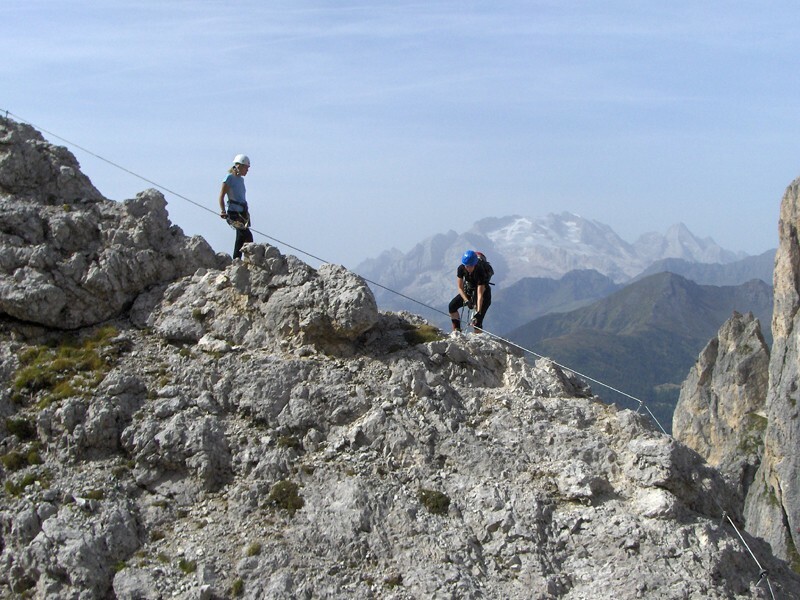 With the hiking & trekking tour Introduction to Via Ferrata, you have a 8 day tour package taking you through Venice, Italy and 2 other destinations in Italy. 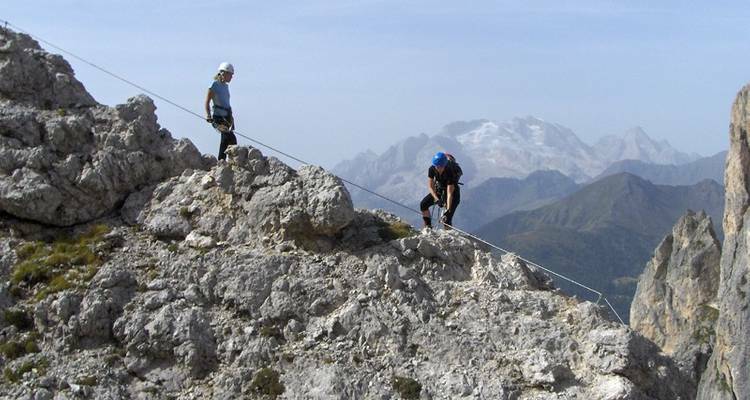 Introduction to Via Ferrata includes accommodation in a hotel as well as an expert guide, meals, transport and more. A brilliant challenging week. The local guides from Globalalpin were fantastic. Day 2: This first day gives us the opportunity to learn how to use the equipment and test our abilties. Day 3-4: Two days of Via Ferrata. Day 5: Free day for optional walking or cycling. Day 6-7: This area has some of the most famous Via Ferrata routes in the Dolomites, many dating back to the First World War. The most impressive and memorable route takes us around the Tre Cime di Lavaredo, situated in the Sexten Dolomites. TourRadar only requires a deposit of $99 to confirm this Exodus Travels booking. The remaining balance is then payable 60 days prior to the departure date. For any tour departing before 20 June 2019 the full payment of $2,366 is necessary. No additional cancellation fees! You can cancel the tour up to 60 days prior to the departure date and you will not need to pay the full amount of $2366 for Introduction to Via Ferrata, but the deposit of $99 is non-refundable.